Growing Home Inc. is more than a producer of local, organic produce. Food Tank recently had the opportunity to speak with Tim Murakami, Growing Home’s Urban Farm Manager. Murakami is responsible for the production and business aspect of Growing Home’s urban farms based in Chicago, IL, but Growing Home primarily functions as a job training program. 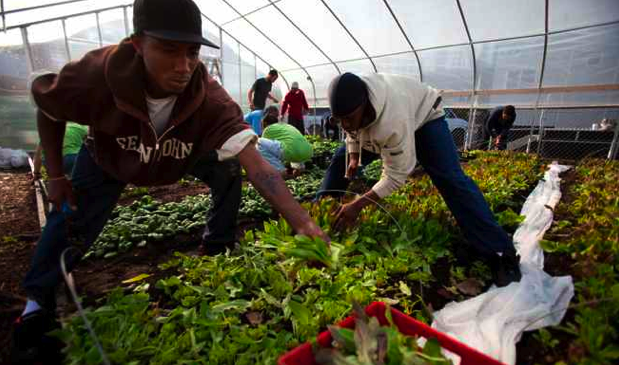 Founded in 1996 by Les Brown, Growing Home was launched to provide job training to Chicagoans in need. Brown was inspired by his work at Chicago Coalition for the Homeless to provide individuals in transition with a sense of purpose and the chance to break the cycle of homelessness. Brown passed away in 2005, but his mission lives on. Growing Home currently operates four sites—a ten-acre farm in Marseilles, IL and three urban sites in the city of Chicago. Two of the gardens are next door to each other in the West Englewood neighborhood, while the other is about one mile away and works in partnership with another organization, Su Casa. Murakami explained, “Growing Home operates in three main ways: job training, organic urban agriculture, and community development.” Their work in the Englewood neighborhood is part of Teamwork Englewood, an initiative formed in 2003 as part of the New Communities Program, to unite organizations working in the neighborhood to build a stronger community and promote healthy lifestyles for residents. “Our Englewood location is important to our mission; it brings fresh produce to an area [in which it is] otherwise scarce,” said Murakami. Growing Home is the leading social enterprise focused on empowering people and communities with Chicago’s first USDA-Certified Organic, high-production urban farms. With farms in the Englewood and Back of the Yards neighborhoods, as well as the 10-acre Les Brown Memorial Farm in Marseilles, Illinois, Growing Home seeks to operate, promote, and demonstrate the use of organic agriculture as a vehicle for job training, employment, and community development. Growing Home provides transitional employment and green industry training to Chicagoans motivated to reenter the workforce. We work with individuals who have had difficulty obtaining employment due to histories of incarceration, homelessness, or substance dependence, who are ready to rebuild their lives. Through a social enterprise business based on organic agriculture, interns learn specialized skills in agriculture and landscaping, food service, and/or customer service, as well as general workplace and life skills. Our program provides hands-on experience, education, and interpersonal skills that prepare our interns for a variety of careers in growing Chicago industries. This entry was posted in Uncategorized and tagged COMMUNITY BUILDING, urban agricolture, urban food..
– fornitura di lombrichi necessaria a parte (euro 20). Il lombrico vive nella lettiera in mezzo alla sua alimentazione. Smaltisce tutti i residui della casa, dei giardini e degli orti, trasformandoli in humus, prezioso concime naturale indispensabile per fiori, piante e ortaggi. Inoltre si producono lombrichi da esca o da immettere nel terreno. Avere nel proprio giardino una lettiera è interessante, istruttivo, produttivo e remunerativo. Un buon numero di lettiere permette un’attività industriale. Earthworms take waste products and turn it into a useful product – compost. Earthworm castings (basically their excretions) provide one of the best and most environmentally friendly fertilisers you can get. Castings consist of 30 per cent humus – the end product of compost – and are considered to be five times richer than good topsoil. If that sounds unhygienic to you, it is a known fact that earthworms neutralise up to 99 per cent of germs in less than two hours. Another byproduct of your earthworm farm is “worm tea”, an odourless liquid that seeps through the material that the worms eat. These handy little helpers will assist you to reduce your weekly household waste by up to 25 per cent! 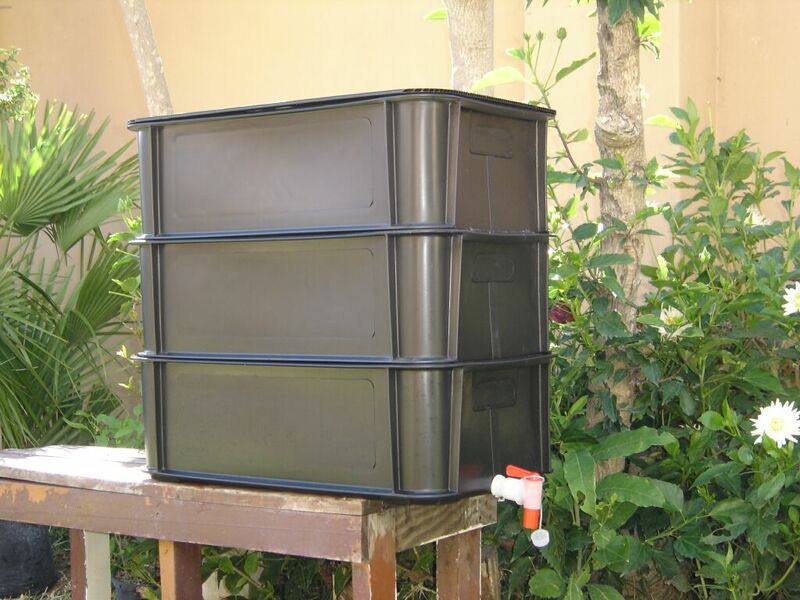 Go on, start your own earthworm farm and convert your organic waste into food for your plants. Once you get over the fact that you have worms in your kitchen, you will realise the value these little workers have for our environment. 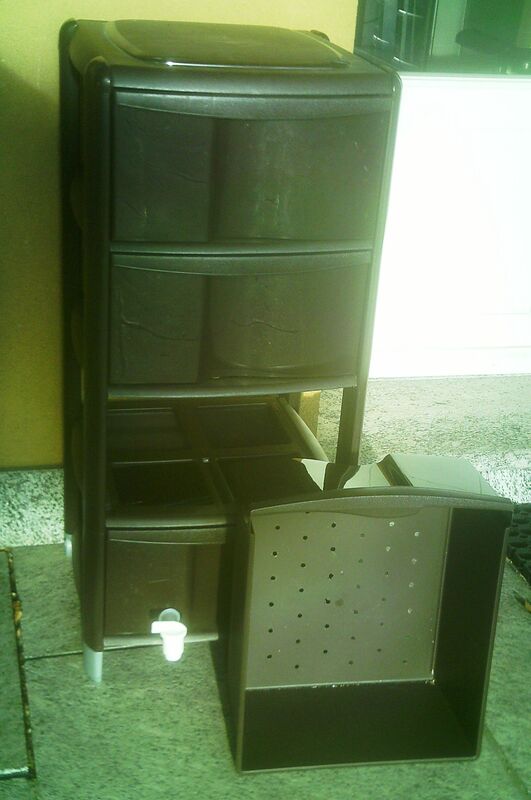 * Take the plastic bin (without the tap) and drill a series of holes in the bottom to allow drainage. (Tip: drill from the inside so the rough edges are on the outside of your bin; if you drill on the inside, it might hamper your juice flow). * Then drill some holes in the walls and lid of the same bin to allow air to circulate. 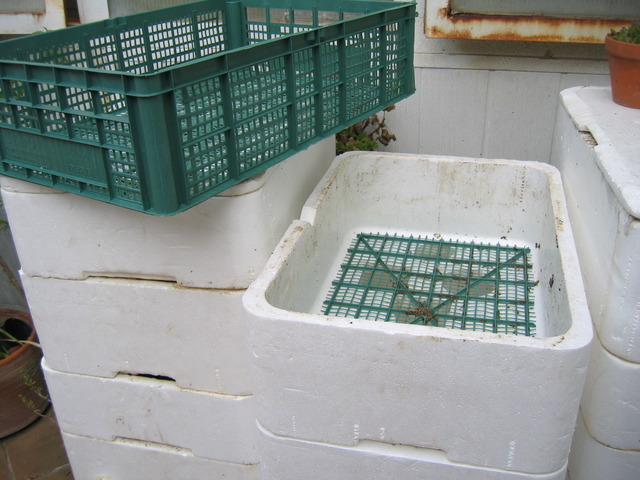 * Place a layer of small pebbles at the bottom of the bin, followed by a layer of mesh to assist with drainage and prevent the worms from falling out the bottom. 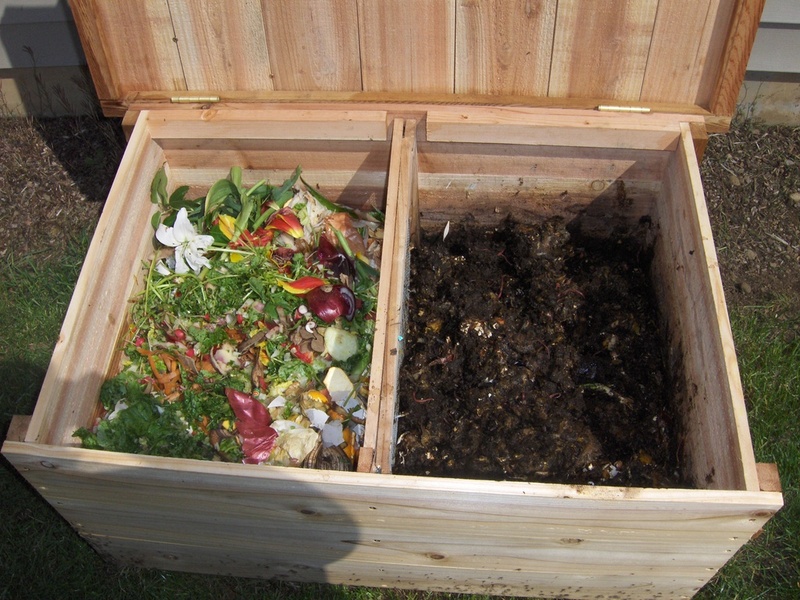 * Then add a 5 cm-thick layer of damp shredded newspaper (long thin streaks), which acts as bedding for the earthworms. Next you will need to add the worms; remember to add them with the soil that they came in. * Cut a piece of cardboard to fit over the bedding and wet it a bit with a spray bottle. * “Cover” your worms with the cardboard and then put the lid on. * Place this bin into the bin with the tap and place it in a shady spot. You can even leave it in your kitchen, as your earthworm farm should be odourless. 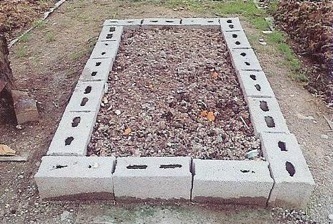 This entry was posted in Uncategorized and tagged COMPOST, LOMBRICHICOLTURA, RECYCLE, REUSE, WORMFARM. Terre – Social : Pour quelques 250 euros, il est possible de construire une serre souterraine qui vous permettra de jardiner toute l’année durant, malgré et au-delà du froid. Cette serre s’appelle un Walipini. This entry was posted in Uncategorized and tagged CITY FOOD, GREENHOUSE, UNDERGROUND.